The warm weather maintains its rather beautiful presence. Expect another month at least of really quite enjoyable temperatures. This period (the busiest of the whole year for LWwines) has kicked off with a host of special offers & treats for those who like the legwork taken out. And this is a surely bumper Newsletter. 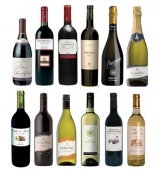 LWwines Wine Club (2 simple selections to you door, monthly; cancel any time. See here and here). Watch out for further Flash Sales Like the one at the end of August. Where else can we find your wines? We have a mission to bring better quality & honest wines to the area. Be assured that wherever you see our wines, we visit regularly to ensure proper handling & stock rotation (an unfamiliar concept in China). We supply 8 retail shops & bars ‘Out West’ with selections. You might spot our descriptive neck labels, logo or posters. When visiting, if you are unsure, you may want to specifically ask for our wines (& maybe tell them ‘why’ as every bit helps to eradicate poor supply & handling; & to get the message out there that better product at a better price is wanted & achievable. Daniel’s Bakery (Jui Shi & Lakeside Ville) & May’s Deli hold quite a number now (with descriptive neck labels). Lianhua (Gao Jing Lu) & Hualian (Green Villa) supermarkets have a dozen each (rear labels only). By Forest Manor, eateries, Elaine’s Restaurant & Cafe Du Village each presently have a small number amongst their selection. Min Mirage Bar has a few too, but after a bright start, seem reluctant to mention wine to anyone! We’re still working on Anna’s & Sunny Bay’s inclusion. If you want any bars or restaurants to stock our wines, tell the owners: Recommendations are emphatic. Please note, we can’t collaborate with any larger ‘Western’ supermarkets because we can’t ensure their handling cooperation. In September, SAVE ¥100 off our standard price & ¥258 off the market price. Here’s an infographic that displays some useful info with almost crystal clarity. Hope you enjoy. Click here or on the image for the full version. With our monthly fixed standing order mixed cases: called Standard 12 or4 Noble Journeymen(3x Cabernet Sauvignon, Sauvignon Blanc, Chardonnay & Shiraz/Cabernet) you will receive FREE DELIVERY. All that for around ¥1000 per month. The initial purchase is for 2 months (so that subsequent COD payments are 1 month in advance). Cancel any time. These are the wines we drink at home on a regular basis. TP3 features 12 wines from 7 countries of 5 continents, 3 from the Old World and 9 from the New. Your search is over. These are the archetypal everyday drinking wines that are surprisingly pleasant to drink. TP3 builds on the foundations of Taster Pack 2 maintaining the ‘easily accessible, easy drinking, easy on the pocket’ theme while flipping the New & Old World ratio. Thanks to everyone who put their faith in us last year. We have almost 3 years of steady growth. With humility, I must thank my ‘in the know’ customers’ word of mouth for that. The marketing budget is tiny: personal recommendations are really something special. Regular Customers are our lifeblood and it is such a pleasure to work with you (you know who you are). To qualify for Free delivery spend a certain amount: details here. or Order one (or both) of our Wine Club offerings: ‘Standard 12′ & 4 Noble Journeymen . Hub Customers also get this benefit. A perfect opportunity to have your wines delivered to your office, maybe. Perhaps to a neighbour or even to leave them with an Ayi or guards. That’s normal for us anyway. We are very flexible. 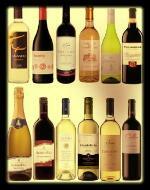 Wine Club & Hub orders normally take place at the start of the month on the first Thursday, Friday & Saturday to suit. Flash sales offer access to a limited number of various wines for a limited period with a minimum order value, announced a few days before they happen on a ‘first come, first served’ basis. When the product is gone; it’s gone. This new innovation has featured rather prominently over the last 8 months and we look set to be able to keep them going. Watch out for the next. Old & New World combine with a distinctive range of styles at great value. It is difficult to believe that one or two of these wines are even in the first tier, showing that 1st tier doesn’t mean second rate. Easy drinking Prosecco, Tempranillo, Grenache, Malbec, Shiraz, Chardonnay, Sauvignon Blanc, Sangiovese, etc. ¥980. 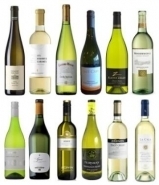 The Wineducation section of LWwines.com offers in-house articles and information on wine tasting and wine knowledge. Read about famous and exalted Wine Regions, the niche that is Organic Wine makers, our Wine Pairing advice, the definitions and explainations of Wine Styles, a series on How to choose wine, even on how to taste wine, you name it. Happy reading. All the articles are created by our very own Wine Man. They are updated, redrafted and re-edited each year.